The most comprehensive, natural healing tool ever created. It’s a patented, revolutionary energy balancing system that can help you uncover root causes of pain, sickness and suffering in body, mind and spirit — so you can make immediate corrections right on the spot. Identify the underlying causes of your physical, mental or emotional issues, release them in minutes and let the healing begin! What if you could know exactly what you, your loved ones, or your clients truly needed when they’re sick or suffering — and be able to help in an instant? What if you could prevent illness or disease before it strikes? What would it feel like not only to live a happy, healthy life but save thousands of dollars in healthcare costs because you could keep your body in a relative state of healthy balance? With The Body Code, this reality is possible! Quickly pinpoint issues with state-of-the-art, whole body, mind and spirit healing technology. Within seconds, discover the root of what ails you with the revolutionary Body Code app. You will be empowered to heal, using The Body Code to resolve the underlying causes of any physical, emotional or mental issue you may have. Learn to give your body what it needs, when it needs it in order to create an environment for healing. You’ll learn to identify and remove negative blocks, subliminal programming and old trauma, and shift into a higher vibrational state. Clear the way for optimal health, love and creative abundance. The keys to The Body Code lie in two important concepts: accessing knowledge of the subconscious mind through “muscle testing” and principles of energy medicine. The wisdom of the body is not held in the conscious, active mind, but in the subconscious mind, which holds all the answers you need to live a healthy, fulfilling, and abundant life — the life you’ve always dreamed of. The subconscious mind knows what is causing that pain in your lower back, and more importantly, it knows what will bring you relief. It knows what is causing your lack of energy, and it knows exactly what mineral, nutrient, or herb you are lacking — and it even knows the correct dose. To access these vast stores of knowledge, we need to bypass the conscious mind and speak directly to the subconscious. This is where muscle testing comes in. Muscle testing allows us to get answers from the subconscious mind about our physical, mental, and emotional well-being. It’s a simple, non-invasive method to determine the underlying causes of problems and afflictions. To learn more about muscle testing and how it’s used with The Body Code, click here. 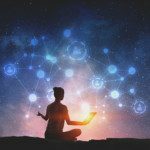 The healing power of The Body Code is found in the wisdom of the ancients and now modern science has confirmed: that all living things are made up of “life force,” or energy. This energy can be negatively influenced in a number of ways, and symptoms of these energy imbalances can manifest as a host of health issues. Any imbalance that may be affecting you adversely can be placed into one of the six main categories of The Body Code System. Dr. Nelson discovered that imbalances in these six areas are the underlying causes of all disease. That’s why it’s so important for you to be able to identify and release the imbalances in your own body, so that you can restore your body to perfect balance and health once again. The Body Code teaches you how to quickly and painlessly remove these energies to restore balance and energetic harmony. It also helps you to know what you need more of to support balance and function when something is missing. You can become an effective healer with The Body Code, even if you don’t have a background in the healing arts. The Body Code empowers those who use it to balance the body energetically. It’ll help you to find answers that you need; to identify exactly what is causing the problems you are manifesting and know what to do help the body heal and be in a state of healthy balance. Wouldn’t you love to be able to make corrections in a natural and safe way? Wouldn’t it be better to avoid toxic medications and surgery whenever it were possible to do so? Created by Dr. Bradley Nelson after many years of clinical practice as a holistic physician, The Body Code is a complete health and wellness guide, designed specifically to help you navigate through many of life’s perplexing issues, find the deep underlying reasons you have them and then realize real solutions. The Body Code can help you as you’re working to overcome illness and discomfort, whether it’s emotionally, physically and even mentally based. You can be trained to use The Body Code even if you have no prior medical training or experience because it’s simple and highly organized. The Body Code is the most advanced self-study course in energy healing in the world. It’s a healing tool that the world needs, and it’s all in one comprehensive, easy-to-use system. With The Body Code, you’ll learn incredible things about the body, mind, and spirit; facts you’ve never been exposed to before. Even the most experienced holistic practitioners learn more than they ever thought possible about the unlimited power of energy healing with The Body Code. This system is being integrated into the practices of clinicians, doctors, and practitioners with great success, yet you can have it in your own home, too. What will The Body Code do for you? Imagine having direct access to the most advanced knowledge database in the universe. You actually already have the database because it exists within you and is all around us. Your own subconscious mind and universal intelligence are filled with information. You may not think any of us are that smart… but think about it. Your body knows how to orchestrate multiple systems within you all at the same time. You breathe automatically without even a thought, you make millions of new red blood cells and pump oxygenated blood into your cells and the toxins get carried away, you secrete hormones to digest your lunch, all while you’re consciously focused on taking a test or playing a game with your kids. We don’t think about the subconscious very much but it’s the part of us that is running things and keeping us alive. What The Body Code will do is allow you to consciously interface with your subconscious knowledge base and guide you to find the specific information you need to help overcome health challenges and improve conditions to restore health and vitality once more. The Body Code makes these things possible. That’s because The Body Code utilizes a patented, revolutionary mind mapping system. We begin with several main categories of imbalance that branch out to unique underlying factors that are known only to the subconscious mind and heaven above. You see, you may not consciously remember the specific occurrence in your life that set you up to have the issue you are struggling with now, but your subconscious mind does… We use simple-to-perform muscle testing to access your subconscious mind along with the framework of The Body Code Mind Maps. You’ll be empowered to dig deep with the Mind Maps to uncover and pinpoint even the most buried causes of imbalance, illness, pain and distress so you can release them energetically. Since 1998, Dr. Brad has been sharing life-changing healing knowledge that he obtained through many years of experience as a holistic chiropractic physician, craniopath and pioneer in the field of bio-energetic medicine. He is a teacher, author, creator of The Body Code, and speaker who shares his message of healing with audiences worldwide. He and his team have trained thousands of people to use his healing systems. In my many years as a holistic physician, I had the opportunity to help patients who had some very difficult problems that seemed hopeless to them. They were people who were suffering from supposedly incurable conditions like fibromyalgia, chronic fatigue syndrome, lupus, cancer and so on. Using what has now evolved into The Body Code System, I was able to help the vast majority of these people get well in fairly short order. How did I know what to do? I have always looked at the body as a whole system. Things interact, so I understood how anything can affect anything. Through my studies and mentoring under some great physicians I saw correlations within the system that were linked together in various ways. My desire was to really understand how to find the underlying root causes and correct them. In my practice, I made it a habit to ask for help from above. Sometimes I had insights and understandings given to me; how to see things differently so that I could help my patients more effectively. How did I come to put this remarkable system together? I was blessed to have training in two separate but surprisingly complementary areas of study: holistic medicine and computer programming. You see, the subconscious mind, while endlessly powerful and filled with wisdom, is basically like a binary computer, meaning it’s capable of responding to “yes” and “no” questions. Within the subconscious is a storehouse of information. To communicate with the subconscious successfully, I had to devise a system that would allow me to get the answers to my questions in a binary fashion. I spent a number of years compiling a comprehensive set of mind maps that allow anyone to easily pinpoint and correct any health imbalance that exists within the body. No matter the cause (or the effect), the subconscious mind has the answer as to what the cause of a problem is. Using The Body Code Mind Maps, just about anyone can quickly find answers. As imbalancing factors are cleared or corrected, I’m never surprised when I see improvement and patients feel relief. I want you to know that I created The Body Code System to share with the world. What I learned during my years of practice is available to you. The Body Code enables me to share, and I’ve made it simple. I want to empower you to have the ability to help yourself and those you love. I’ve spent years acquiring knowledge and organizing what I’ve learned into a system that will guide you to find the answers you need. Countless lives have changed for the better already as my students have used The Body Code for themselves and their loved ones. Some have trained with us and have become certified through our online courses so that they could also help others most effectively. After decades of study and practice in this field, the healing arts, I truly believe that the future of medicine is in energy healing. I invite you to open your mind to the incredible potential for positive change in your life through the use of The Body Code. Total healing at your fingertips! A Trapped Emotion of resentment could be causing the pain in your shoulder. A deficiency of zinc could be causing a clouded memory. Exposure to heavy metal toxins could be causing chronic fatigue symptoms. Sometimes there are several things in a list contributing to the things you are exhibiting; things you’d rather live without. Wouldn’t you love to have access the the list? The Body Code allows you to determine exactly what is causing imbalance in your body — no matter how deeply buried or seemingly unrelated. It’ll guide you to find the real problems for whatever you are manifesting on the surface. Your illness, your pain, your unhappiness, your inability to function as you should be able to all have reasons — causes that you can pinpoint. Total relief and healing could be yours, faster than you ever thought possible. The Body Code System was designed not just to bring relief to physical conditions. It is amazing what you will see and just how far it can go to heal lives emotionally and mentally. By identifying and releasing underlying energetic imbalances, you’ll also be able to feel connected to your true self. As The Body Code helps you to clear false beliefs, negative images, and other mental and emotional baggage, you may just feel like a new person; more connected to everyone, even to your true self. Strengthen your relationships and find true love – When you release the negative energy of past painful experiences related to love, relationships, and family ties you’ll free your heart and open yourself up to receive true and lasting love of all kinds. Pave the way for freedom and success – Unleash your creativity and attain your highest levels of creativity and success by freeing yourself of limiting beliefs, patterns of failure and self-sabotage that may be hiding in your body as energetic imbalances. Shatter money blocks – Unlock your potential for wealth and abundance by releasing the imbalances that cause money blocks and other limitations. Nothing Better than Seeing Great Results at Home! The Body Code is a Tool to Heal Us! “I have been a Certified Emotion Code, as well as a Body Code Practitioner since 2012. This story is about a child that lives in South America. He is currently eight years old. I was contacted by one of his family members as he had several issues not adapting to his school, as well as urinating on his pants. While asking some questions I found out that he was sexually abused at the age of four. We had five sessions via Skype and his parents cannot recognize the child. He wakes up singing and happy to go to school. He interacts with everyone else, smiling and laughing like a regular eight-year old. I saw a Body Code practitioner for some emotional issues as well as migraines and after 3 sessions I felt more balanced and my migraines were gone! She did one session on migraines and after that session I didn’t have another migraine for 5 months. Incredible! “Shaila is one of those little girls that impresses at first contact. This 3-year-old was brought to me by her mother, a patient of mine, because she was suffering from nightmares and was very afraid of male individuals. I began working on the little girl using The Body Code technique and her reactions were incredible. With every passing stroke of the magnet, trapped emotions and imbalances were released. Her contagious laughter filled the room. The therapy brought forth several childhood traumas and as it progressed, her reactions decreased. She was calmer as she concentrated on feeling the healing. Shaila had spent some time living with her dad at the age of two, which added more instability and emotional harm. Her mom shared that her own relationship with her ex-husband had begun to deteriorate while she was pregnant with Shaila, and she suspected that this had affected her daughter as well. Shaila left the room very happy and gave me a hug. If you’re ready to take charge of your health and well-being like many others have done successfully, The Body Code System may be exactly what you are looking for. Isn’t it time to find the answers you need; to solve the puzzling questions that you’ve been struggling with? Your body is self-healing but sometimes things get in the way of healing and perfect function. If you have everything your body, mind and spirit require, you should have function, right? That’s just logical. Sometimes there are things you have forgotten about from long ago or maybe never even knew about consciously. Sometimes the reasons you have a block are even inherited. The Body Code empowers you to identify even hidden blocks or causes and clear them out of your way. Your subconscious mind has been keeping track all along and knows what these things are. The information is waiting to be discovered! You just need access, and the The Body Code makes access easy. When you become consciously aware of what the root causes of a problem are, you’re able to pull them out like a weed, right at the root. That is what The Body Code can do for you. We think you’ll be so happy when you realize the truth of this; happy because you’ll feel the difference! Will this work for me if I don't know anything about healing? The process of using The Body Code is fast because it is so organized. You will be able to learn how to utilize the techniques very quickly—some are confident within a few hours, some take a few days, other people take a couple of weeks. Once you know how to utilize the tools, you only need to spend a few minutes per day or week with The Body Code System. Your health is certainly worth this small amount of time and attention! I'm not sure muscle testing works for me.